This is my first post on Silverlight + SharePoint 2010 and it will take you through a very simple example of using a Silverlight application in SharePoint 2010, using the new SharePoint 2010 Client Object Model. 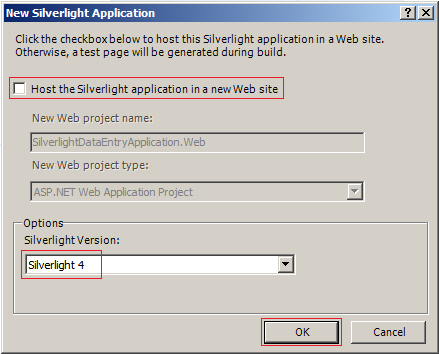 I will also show how to do deployment of Silverlight application in SharePoint 2010. 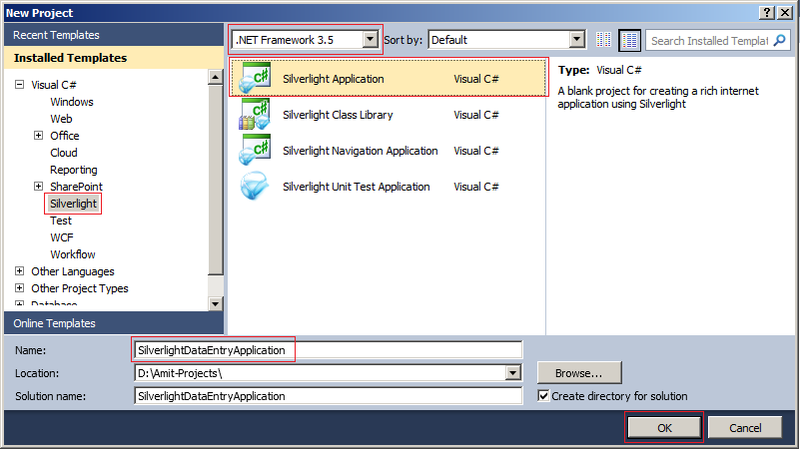 Visual Studio 2010 provides good development tools for SharePoint 2010 as well as for Silverlight. Note that I will not be getting into the details of creating a flashy User interface (UI) in Silverlight – i will just create a very simple UI with a Data Grid view, text boxes and buttons. The Example is divided into 3 sections. As follows…..
Use Client side object model to Add, Update, Delete and retrieve records of SharePoint 2010 list from Silverlight 4 Application. Create a SharePoint 2010 solution which will deploy a Silverlight XAP file to SharePoint. I am going to create a simple Silverlight form for Contact Management. And it contains two textboxes, two buttons (Add and Update) and one Data Grid View with three columns (Name, Address and Actions). 1. 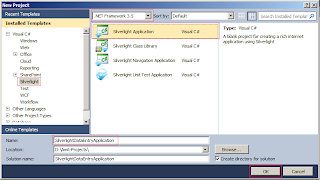 First of all create one Silverlight Application for that go to New Project > Select Silverlight > Select Silverlight Application > Enter Name of Application. 2. 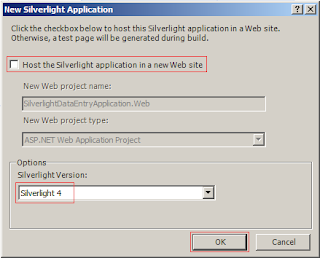 Uncheck the “Host the Silverlight application in a new web site” option. We don’t need it. And select Silverlight version probably 4. 4. Open MainPage.xaml file in XAML mode. And addfollowing XMAL code in Data Grid tag for columns creation. There are three columns first is Name, second is Address and third is Actions. Actions column contains two image buttons Edit and Delete. Section 2: Use Client side object model to Add, Update,Delete and retrieve records of SharePoint 2010 list from Silverlight 4 Application. 1. Add Microsoft.SharePoint.Client.Silverlight.dll and Microsoft.SharePoint.Client.Silverlight.Runtime.dll references in the project. 2. Add code in MainPage.xaml.cs file. The following example shows how to create, Update and delete a list item in a specific SharePoint 2010 list. Here I have demonstrated two differentmethods to access data from SharePoint 2010 List. 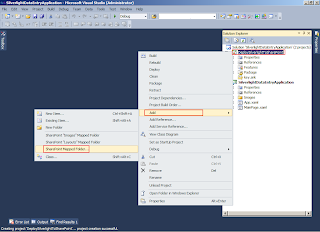 The example uses a delegate to Add, update and Delete the information of the item in the UI. And the example uses BackgroundWorkerthread for retrieving items from SharePoint 2010 list. While accessing data from multiple lists, you cannot use delegate to access data, for the same you can useBackgroundWorker. We cannot run the data retrieval methods on UI thread of the Silverlight Application. For that we have to create a new thread using BackgroundWorkerand call data retrieval methods from the new thread’s DoWork method. 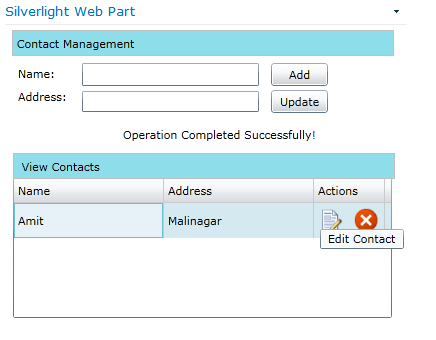 For more information on How to useBackgroundWorker in Sliverlight + SharePoint 2010 Click here! //Write Data Retrival Code Here! //Write Data Binding Code Here! 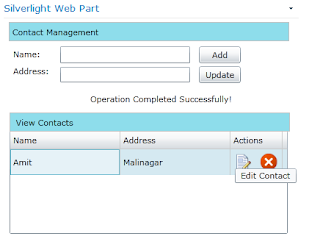 Section 3: Create a SharePoint 2010 solution which will deploy a Silverlight XAP file to SharePoint. 1. 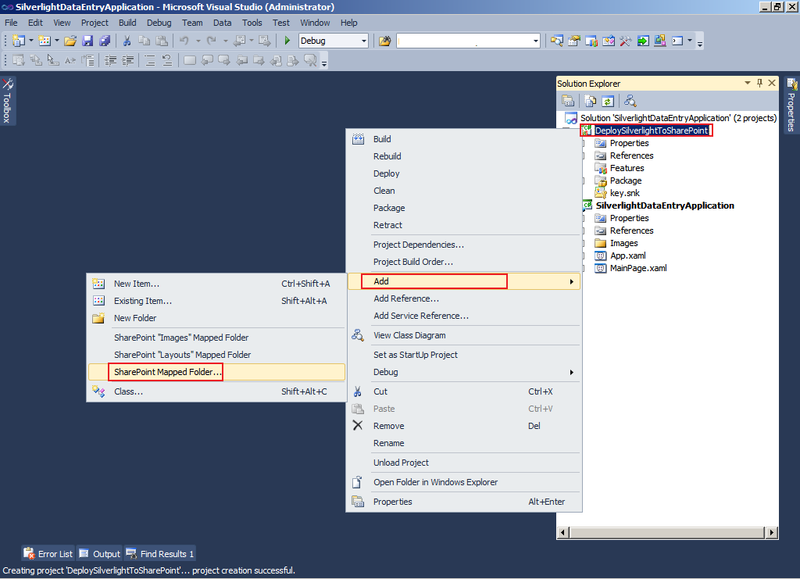 Create an Empty SharePoint 2010 project with Deploy on farm solution is checked. 2. 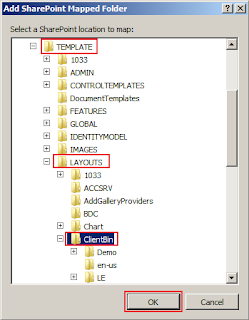 Map ClientBin SharePoint folder from layouts. 3. 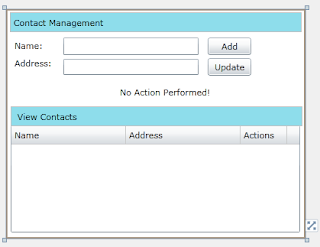 Create a new folder as ContactsDemoin ClientBin folder. 4. 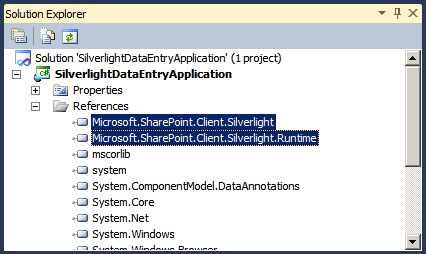 Add post-build command as “xcopy "$(TargetDir)SilverlightDataEntryApplication.xap" "$(SolutionDir)DeploySilverlightToSharePoint\ClientBin\ContactsDemo\" /Y” in the Silverlight project SilverlightDataEntryApplication. 5. BuildSilvelright Project. 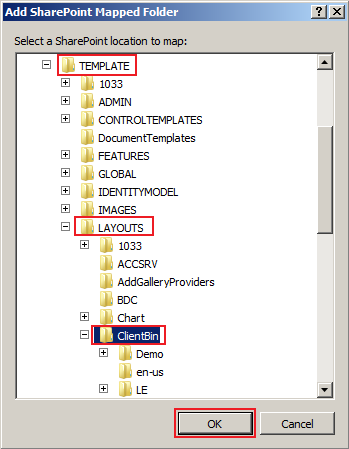 One file will be copied to DeploySilverlightToSharePoint\ClientBin\ContactsDemo\ location. 6. Include SilverlightDataEntryApplication.xapfile in SharePoint Project. Build the SharePoint project and deploy the solution. 7. Open SharePoint Site and Add Silverlight Web part from the media group on the page. 8. Go to edit web part and Click on Configure button. 9. Popup will open with one textbox, enter XAP file path as “_LAYOUTS\ClientBin\ContactsDemo\SilverlightDataEntryApplication.xap” and click in OK Button.